what we see of ourselves is not what others see. 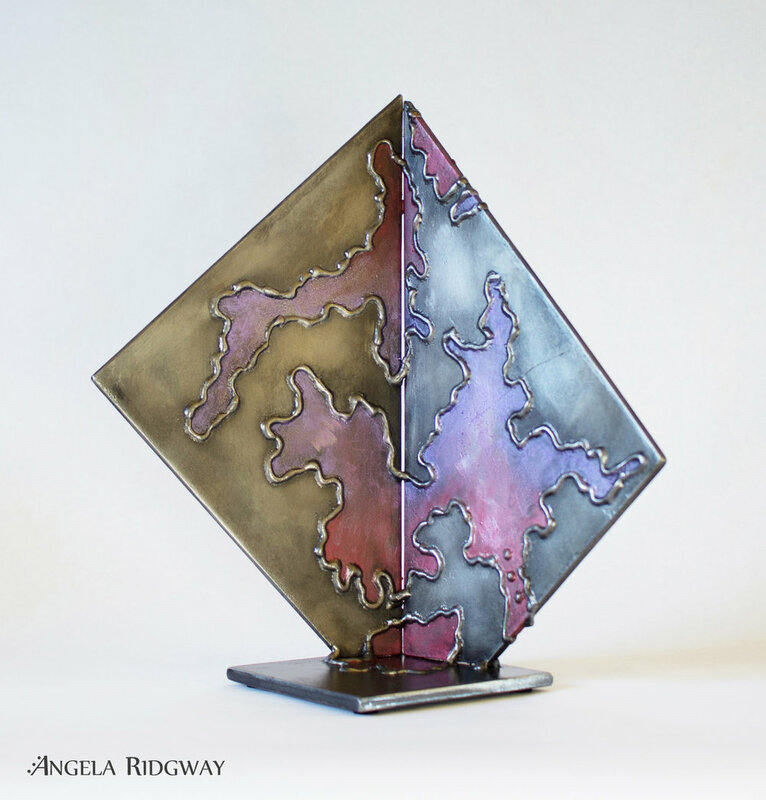 triangles and lines in this table top sculpture highlight how these dualities intersect and co-exist but are inherently different. red and purple iridescent colors are contrasted to the steel gray color of the metal.